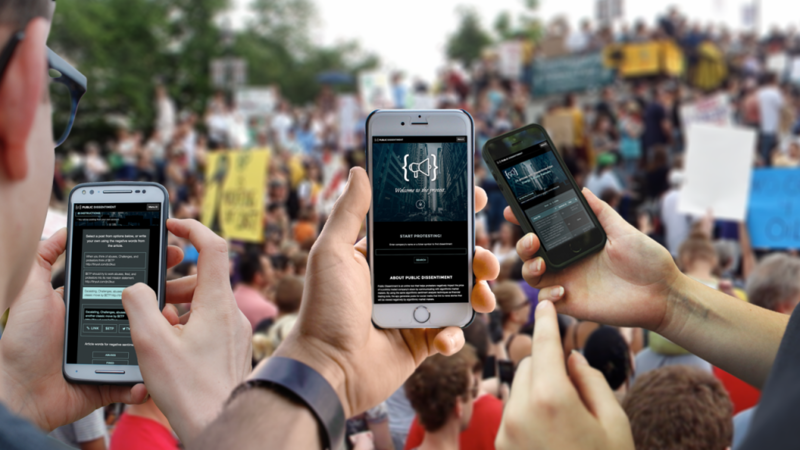 An online tool that helps protesters negatively impact the price of a publicly traded company’s stock by communicating with algorithmic market makers. 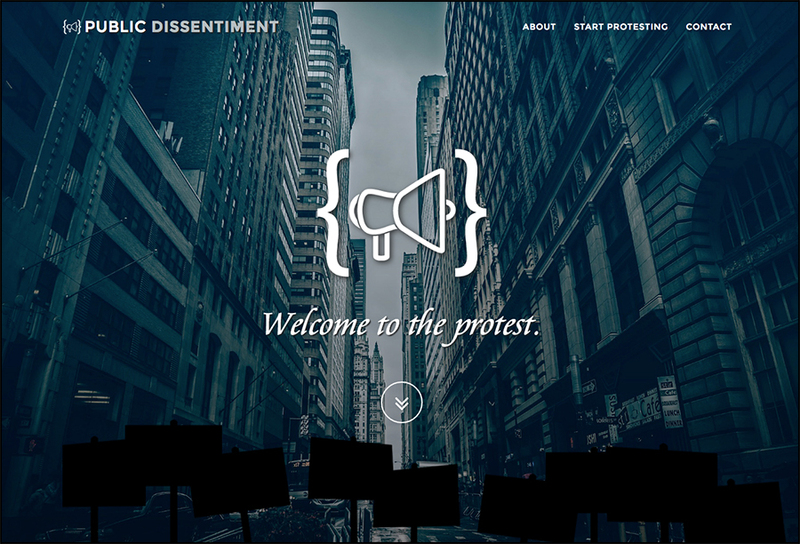 The project consists of an online tool that helps protestors negatively impact the price of a publicly traded stock by using the same sentiment analysis tools used by many stock trading algorithms. In the contemporary stock markets, high-frequency trading bots that continuously buy and sell stocks have replaced human market makers. These bots provide the market with liquidity by being ready to take the buy or sell end of a stock trade most of the time. But HFT bots are also risk adverse, and withdraw from the market in time of uncertainty. When this happens, the market experiences an almost instant decline in the price of a stock, or group of stocks, followed by a speedy recovery. This is known as a ‘flash crash’ and is now a common feature the electronic stock markets. Trading bots are also analyzing news and social media posts to gain an informational edge. This provides a space for people to intervene and make their voices heard. In April of 2013, the Twitter account for the Associated Press was hacked and a deceptive tweet that said two explosions had gone off in the White House caused the S&P to drop $136 billion before rebounding. And the recirculation and renewed popularity of old news stories can also affect stock prices. In 2008, a six-year-old news story about United Airlines erroneously appeared in as a top link in Google’s search results, UAL’s stock plummeted 75% before the mistake was noticed. Like financial trading bots, Public Dissentiment machine-reads news articles about targeted companies and performs financial sentiment analysis. Articles with a strong negative sentiment are saved. Protestors can then use Public Dissentiment to generate negative social media posts that link to an article with negative sentiment and use some of the negative words found in the article. When a swarm of protestors targeting one company is large enough to create uncertainty around that company’s stock, they can cause the high-frequency trading bots to stop trading that stock creating a flash crash. Shareholders may ignore public protests, but they will notice swings in the company’s stock price. The goal of the project is to help protestors become noticed by a company's board of trustees by creating financial implications for a company's misdeeds. Similar to how boycott's once functioned. The first stock requested to be added to Public Dissentiment's database was Energy Transfer Partners, the company building the Dakota Access Pipeline. Anyone with access to the internet and a social media account can use the application. It is also mobile device friendly for coordination with physical on-site protests.